Dolphin Run is a beautifully decorated, well maintained and updated home that would suit even the pickiest member of your group! 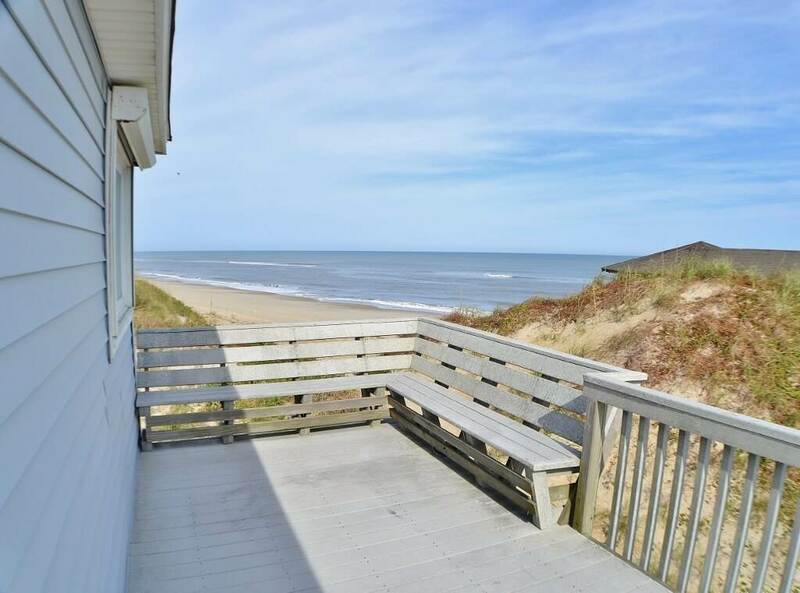 This home is located on a cul-de-sac at the most southern end of South Nags Head with no roads to cross to get to the beach, making it perfect for families with small children or anyone who wants to avoid traffic during their vacation. Your family will love spending time in the bright, open-concept great room that features colorful and modern leather seating, vaulted ceilings, a flat screen and ocean views. With a beautiful granite-top dining table seating six, everyone can enjoy meals together while taking in the spectacular ocean views. The chef in the family will be thrilled to cook in the updated kitchen that includes granite countertops, stainless steel appliances, an attractive mosaic tile backsplash and even more ocean views! 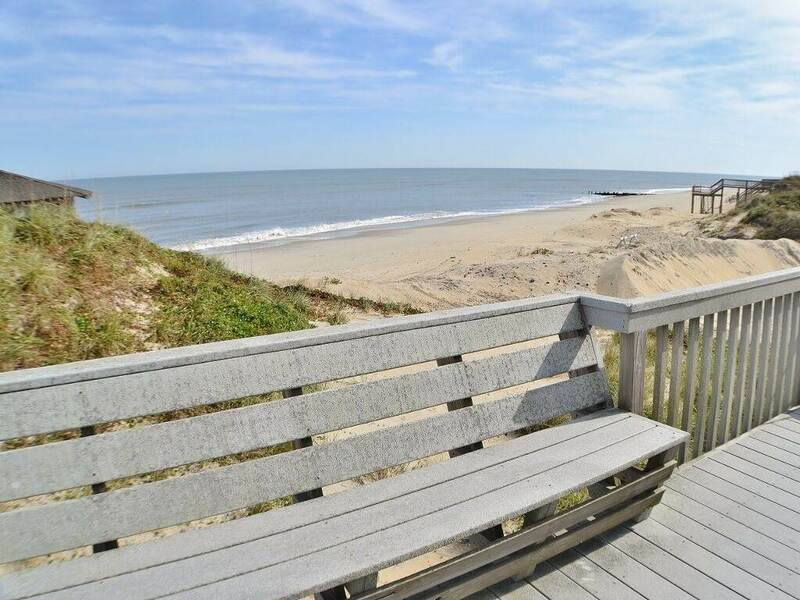 After a long day at the beach, relax on the expansive sun deck with your favorite cocktail or that new book you haven't read yet while enjoying the views and ocean breezes. 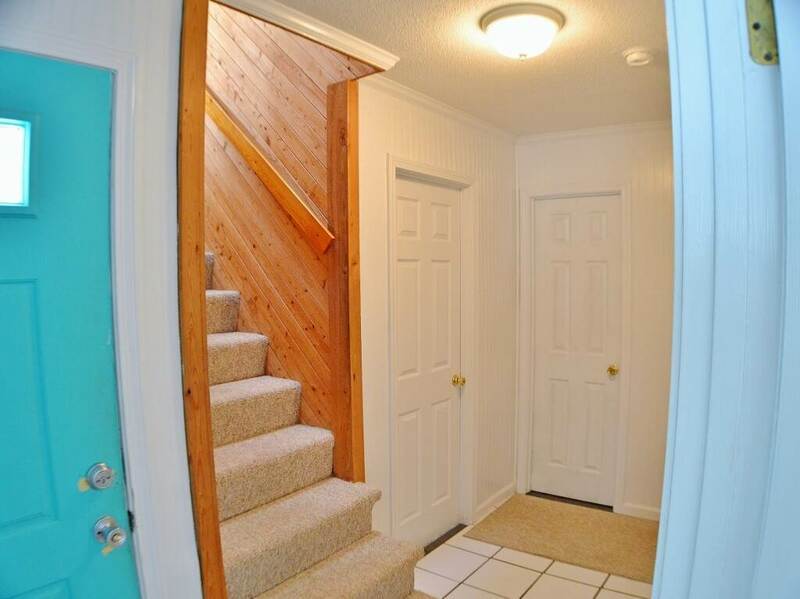 GROUND LEVEL: Covered parking; Enclosed outdoor shower; Storage; BBQ Grill. LEVEL 1: Covered entry; Bedroom with queen bed and TV; Bedroom with double beds; Bedroom with bunk set and twin bed; Hall bath. LEVEL 2: Living room with vaulted ceilings, flat screen TV and ocean views; Dining area with table for six, ocean views and access to oceanfront sun deck; Kitchen with granite countertops, stainless steel appliances and ocean views; Half bath; Master bedroom with queen bed, flat screen TV, ocean views and private bath.